"Keeping your employees and your property safe are the most important things you can do for your business. Installing Fire Alarm and Emergency Lighting are two, of the most important parts of your infrastructure." BCS install and maintain fire detection and emergency lighting systems, ensuring that your staff and business premises are safe and protected. On-going testing of fire alarm equipment is key to their successful operation in the event of a fire and is a legal requirement. From fire alarm and emergency lighting design to commission of works, BCS Electrics take care of everything. Whether an office upgrade or a national roll out of retail units, a university library or gymnasium, our engineers know exactly the right design and installation to keep your building safe in an emergency. Starting with the initial site inspection, we then provide a quote. We take every aspect on board from use of the building, occupants, features, fixtures and fittings to ensure the best alarm and emergency lighting installation. We then arrange regular testing, inspection and certification for quarterly check-ups, with timely reminders and reports to keep our customers compliant and within all insurance and legal regulations. 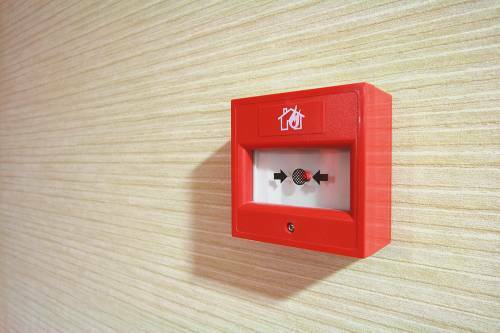 If you would like to talk to us about fire alarm and emergency testing or are unsure about your legal requirement as a business owner, get in touch with the BCS Electrics team on 0113 235 0400.